Lots of blame for Seattle’s head-tax debacle. Except where it belongs. The City Council implicitly acknowledged its head-tax plan was a loser when members voted to repeal it. But they couldn't admit it, instead blaming about everyone else in Seattle for the fail. Including you. I was all set to give the Seattle City Council some credit today for doing one of the harder things in the human experience: admitting to a mistake. Then I listened to council members. Tuesday’s circus of a council hearing, at which the city backtracked on its misguided $275 per worker head tax, could best be described as a finger-pointing blame-fest. About everybody in Seattle was to blame for this humiliating political debacle, as it turns out. Except them. Other council members insisted with great passion, voices rising in anger, that the city is in fact doing a great job on housing the homeless, and so has simply been misunderstood. But most jarring, to me, was that they blamed you. Yeah, you, the witless public. “The Chamber of Commerce has convinced the vast majority of Seattleites of the old, conservative trope, that the increased level of human suffering in this city is caused by government inefficiency,” railed Councilmember Lisa Herbold. She added she had pushed for a head tax on Seattle companies in 2016, 2017 and now again in 2018, and seemed perplexed that none of these three efforts worked. Possible simple explanation: Maybe it’s just not a good idea? The notion that the famously liberal and generous Seattle public is now a rabble of dupes easily wowed by anti-government propaganda ­– now that’s some world-class political blame-shifting! More likely, I bet, is that Seattleites came to feel that high levels of taxation directly on jobs, of all things, might not be the smartest policy. Game over right there. Why in the world would you tax grocery stores, anyway? The council never had an answer for that. Nobody acknowledged that mistake, or any other, on Tuesday. Various council members instead chose to lash out. Sawant was again the most direct, accusing business of launching a “tsunami of propaganda, lies and distortions.” But right there in the room was Uwajimaya, defying this hoary caricature. Here are the other real reasons the head tax failed, none of which were discussed by the council. One, there was no successful coalition-building that included business, as was done when Seattle passed the $15 minimum wage. Two, the effort seemed like its aim was to tax the wealthy first and foremost, with any plan to help the homeless secondary. 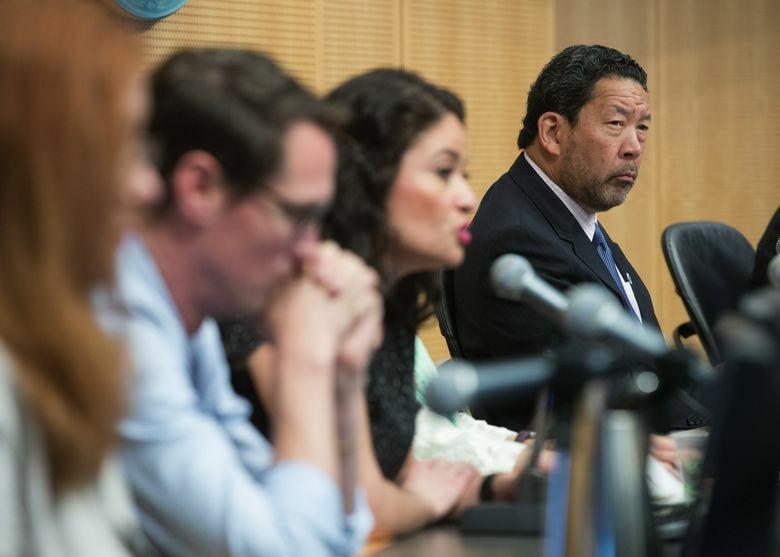 Three, the city never made the case its homelessness efforts to date are working ­– though council members belatedly tried Tuesday, saying they housed 3,000 just in the first three months of this year. That wasn’t a member of the Seattle City Council, though it sure could have been. That was Donald Trump.